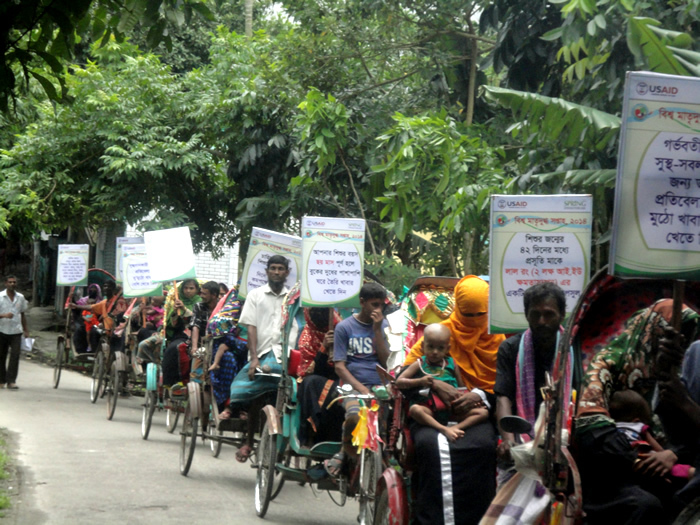 Every year during World Breastfeeding Week, SPRING/Bangladesh supports national and regional efforts to raise awareness about breastfeeding. 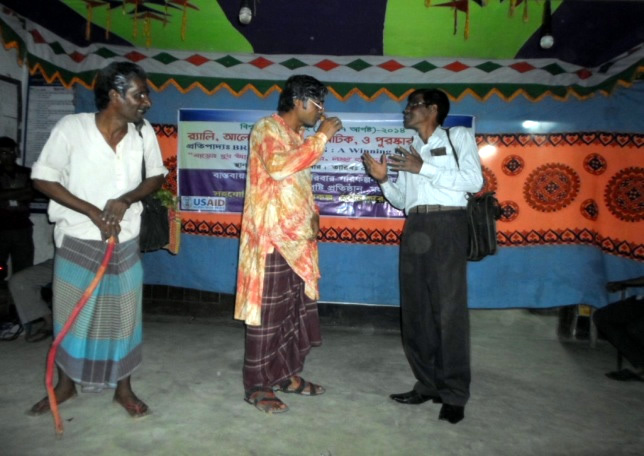 This year’s festivities received additional attention compared to previous years, as the Honorable Prime Minister of Bangladesh, Sheikh Hasina, presided over a national inaugural event on August 6, 2014. 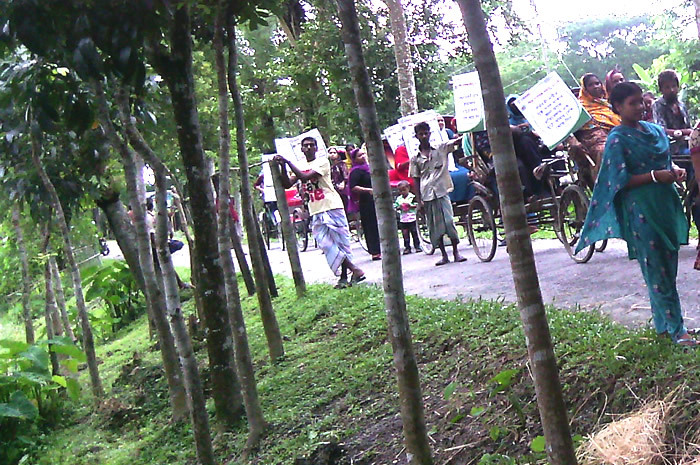 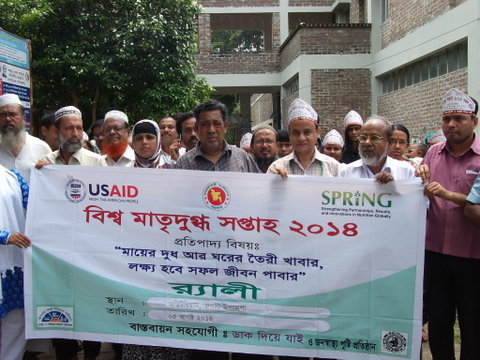 Building on this energy, SPRING held numerous activities across its 40 working sub-districts, or upazilas, throughout the week of August 1-7. 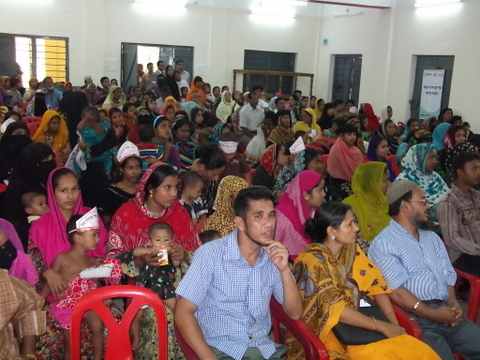 Working at the community level all the way up to the national level, SPRING organized technical discussions, set up special breastfeeding corners, held “miking” events (chanting slogans through a loudspeaker), and organized marches and rickshaw rallies to remind families about the importance of exclusive breastfeeding during the first six months of life and continued breastfeeding through the second birthday. 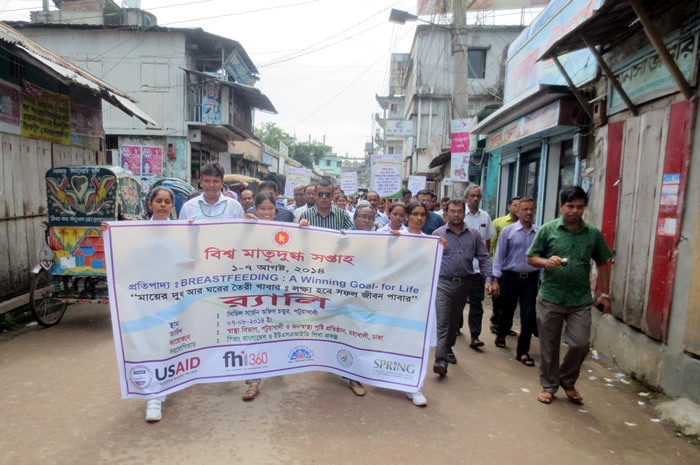 This wide array of activities engaged community members of all backgrounds and helped make this year’s World Breastfeeding Week a success. 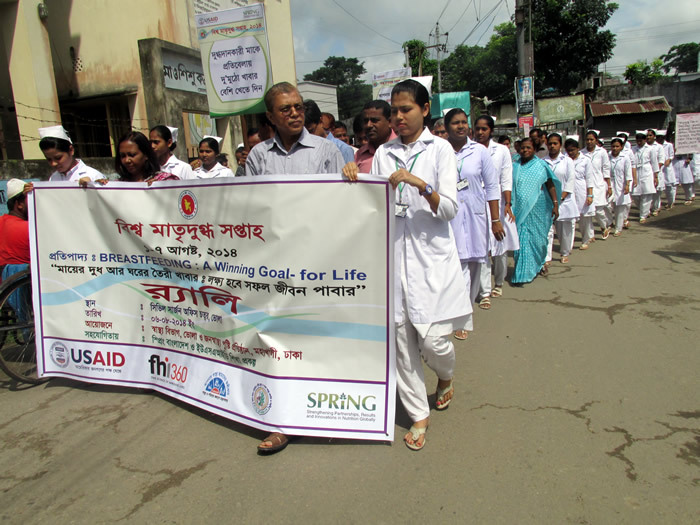 Support for and promotion of breastfeeding is a central component of SPRING’s work throughout the entire year. 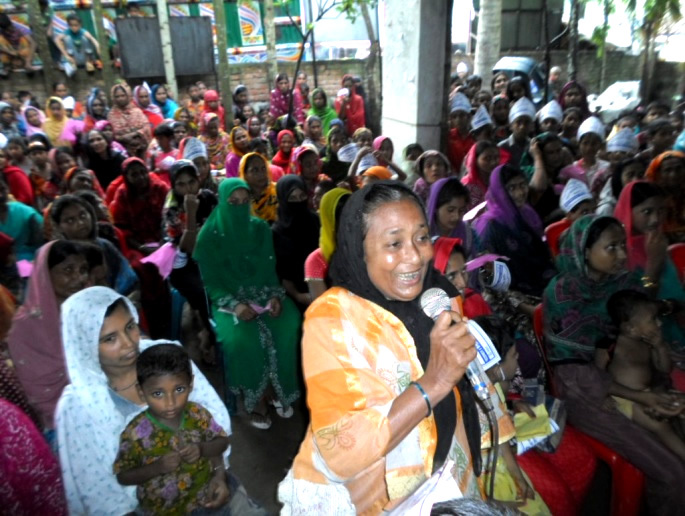 SPRING works hand-in-hand with the Government of Bangladesh and with rural communities to ensure that breastfeeding is prioritized and that families understand its importance in early childhood health and development.